What's the weather like where you live? Anyone have snow? If you do, don't forget to take your camera out with you before it melts away. Patty captured this great photo of her son playing in the snow. 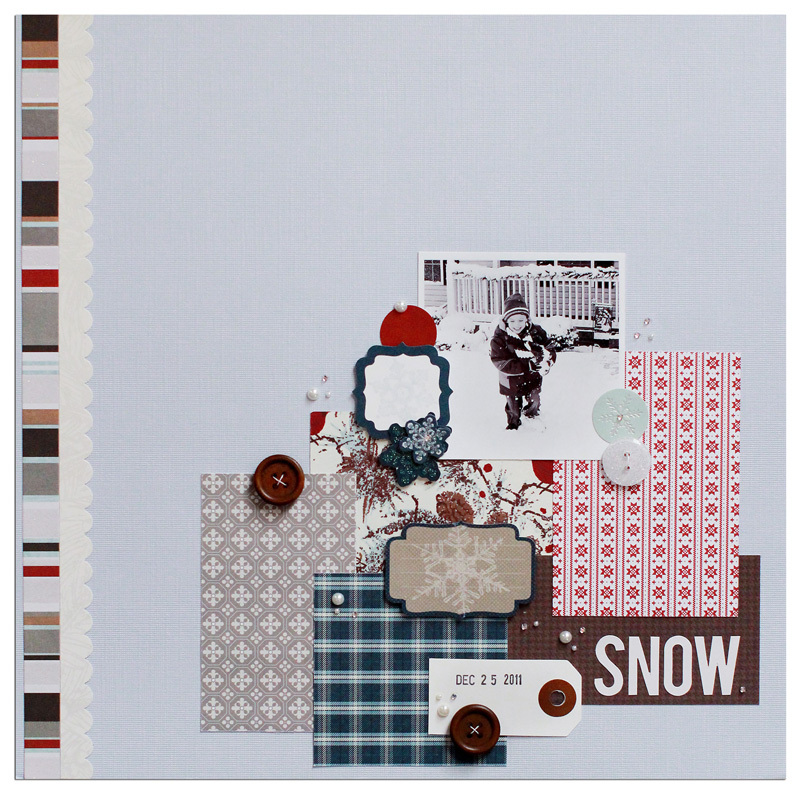 She scrapbooked it using the Silver Valley collection, perfect for all sorts of wintery layouts. 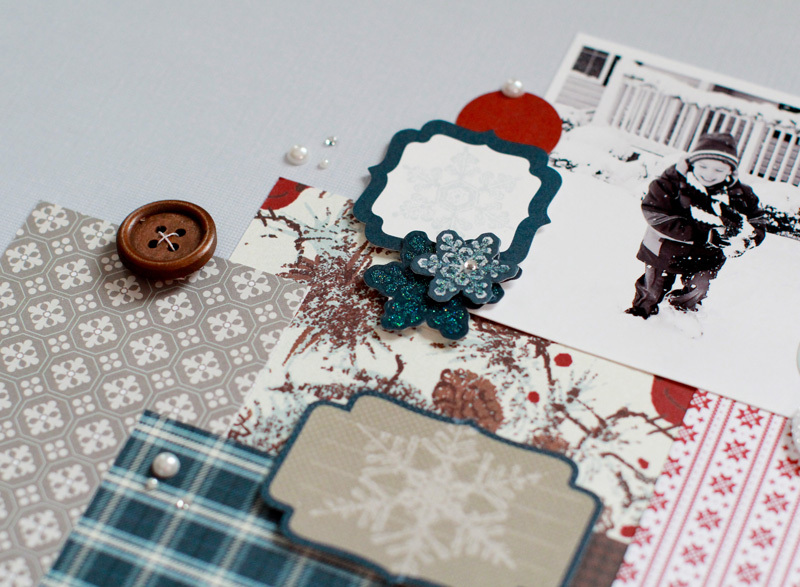 Patty did a wonderful job of layering and combining patterns. If you are struggling with this, check out this post we created a while back on how to combine patterns. Carefully selected embellishments, like sundries, page elements, and stickers grouped together add the perfect finishing touch. 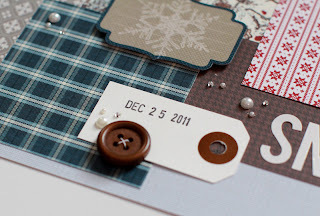 just love the layering and little touches! 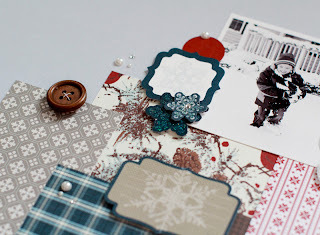 Another great layout! 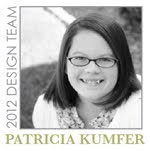 I get so many great ideas from your blog!